Affordable Pricing: Your complete Certificate of Advance Study in Mental Health Counseling costs $6,570. Only $1,095 per 3-credit course! Alfred University offers a Certificate of Advanced Study (CAS) in Mental Health Counseling. 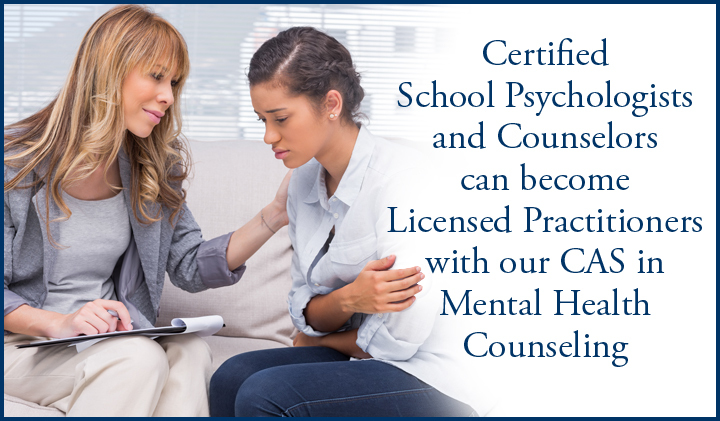 The Certificate is designed to be a “bridge program” for individuals who have already earned a master’s degree in counseling or psychology, but do not meet the required coursework and experience for mental health licensure. Individuals who earned degrees that consisted of less than 48 credits may be required to complete additional coursework to bring them up to 60 credits in counseling training, in order to meet the NYS licensing requirements. This includes individuals who have 60 or more credits in education, but some of their coursework is in administration, special education, or other teaching areas. The coursework must be in counseling. Graduates of the Alfred University Downstate School Counseling program must complete an abbreviated application form that updates personal information and indicates that they are applying to the program. Once admitted to the program, they must again pay a $200 enrollment deposit that will be refunded once they complete the program. 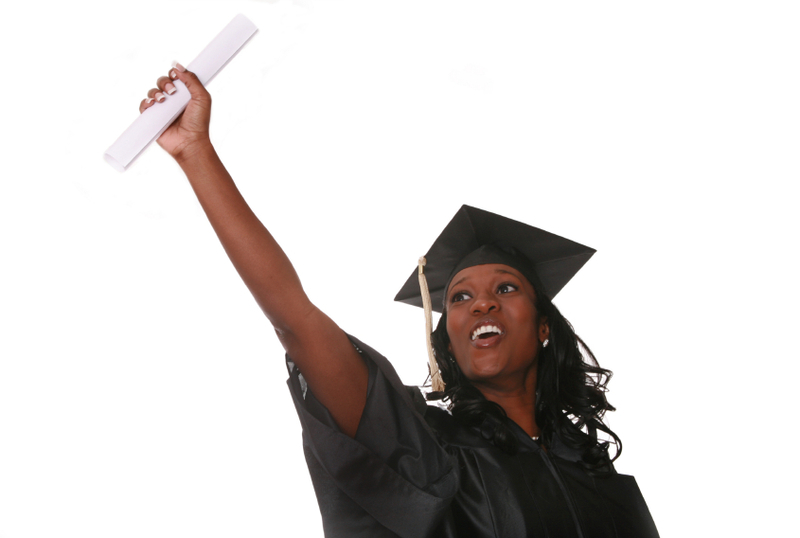 There are no other application materials required for AU Downstate Alumni. Students interested in applying should call CITE office for further information, 718-923-9333, or visit the Apply Now section of this website. The Certificate of Advanced Study in Mental Health Counseling is a cohort program which starts each September and February. All application materials should be submitted by January 15th for the February 2019 start. The fee for each three-credit course is $1,095. On-campus courses cost $1,095. The complete cost for the 18-credit Certificate of Advanced Study is $6,570. Financial aid is available through Alfred University. A $200 enrollment deposit is due upon acceptance into the program. This deposit is refundable upon successful completion of the program. Courses are offered on Saturdays and/or Sundays during the school year. This program does require one trip to Alfred in the summer. Course location and dates are subject to change. Please download the attached schedule for full program dates. Non-AU graduates are allowed to transfer up to 6 credits of coursework that conforms to the areas required for licensure. AU graduates who have not met the 6 credit limit in the Master’s program will also be able to transfer courses up to the 6 credit limit. However, the courses must correspond exactly to the coursework in the program, as these are delineated by state regulations. Don’t Wait. 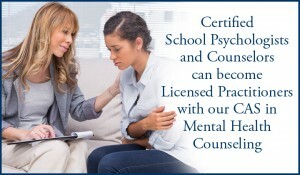 Complete Your Certificate of Advanced Study in Mental Health Counseling and Further Your Career in Education Now. Call us toll free at 1-877-922-2483 or contact us today to get your Certificate of Advanced Study in Mental Health Counseling.